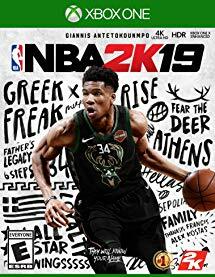 Hurry over to get NBA 2K19 on Xbox One, PS4 or Nintento Switch for $27 Shipped (Retail $59.99). Last year we had a hard time finding NBA2K online during the holidays so get it while you can! NBA 2K celebrates 20 years of redefining what sports gaming can be, from best in class graphics & gameplay to groundbreaking game modes and an immersive open-world "Neighborhood". NBA 2K19 continues to push limits as it brings gaming one step closer to real-life basketball excitement and culture.